Ram Gopal Varma is a guy who can turn anything and everything into his favour. He put out a tweet regarding the baby girl Aishwarya Rai Bachchan gave birth to. 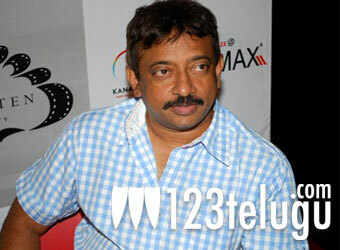 “I hope the baby is more Aishwarya than Abhishek” tweeted RGV. Ramu’s tweet grabbed everyone’s eyeballs for its cheeky nature and intent. Aishwarya and Abhishek have been getting tons of congratulatory messages from the entire film industry but none like RGV’s. RGV has publicly praised Aishwarya’s beauty in the past and said that he hates beautiful women getting pregnant. While there may be nothing malicious in RGV’s tweet, knowing the maverick director, one can never be sure. But it sure will be nice if the baby inherits Aishwarya’s beauty isn’t it?